So the next in a long line of health scares inflated by social media is bird flu. How many readers can remember the last bird flu scare? No? I remember I was playing the dame in the pantomime at the time and managed to work in a joke about it, so must have been at least 10 years ago. Maybe the reason no one remembers is because it never really happened. No one got it, no one was sick and no one died; just like the swine flu epidemic, SARS, MERS, Zika and the typhoid epidemic of 2015. 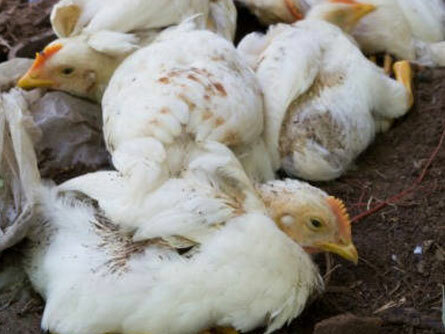 The current bird flu pandemic began in January 2016, and the virus now causing death in wild birds and domestic poultry in Uganda while still being investigated is probably the same strain, H5N8. It is not easily passed to humans and very rare between humans. The few proven human cases so far in China and the Far East have occurred in poultry farmers and markets, not the general public. So do we have to worry about human bird flu in Uganda? Not at all. The virus mostly enters through the eyes like other ‘flu, and has to come from secretions from a sick bird, not a dressed chicken from the butcher. No-one has been proven to have got bird flu from a wild bird. So don’t cancel your holiday, don’t cancel your bird watching trip to the Ssesse islands and don’t be frightened to eat chicken from the butcher. So what about the flu that is going round? Indeed we are seeing plenty of cases of “real ‘flu” mostly from schools, this year‘s ‘flu is just another strain of “seasonal A”. If you have fever over 38, respiratory symptoms with general muscle and joint aches and red eyes it is probably ‘flu. If someone does a widal test and tells you it is “typhoid” then please Google it: it isn’t. Most of us wrinklies must have had it in the past and are immune to it: we are seeing mostly children and young adults. And none of our staff have gone down with it so far either; I guess they got immunity from a closely related strain some years back too. ‘Flu can certainly make some people very ill, fevers over 39, weak, dizzy, unable to get out of bed for days. Some sweat so much they struggle to keep themselves adequately hydrated and some have even needed intravenous fluids. A few people get complications: pneumonia, secondary infections, encephalitis, but very rare. Most just get better after 5 or 6 days. What to do? Stay home, drink plenty, ibuprofen and sleep. If you are worried come in for some simple tests but don’t try self medication: It is not malaria, it is not typhoid, antibiotics are useless, so are supplements, and the best immune booster is bed. We have a vaccine for it if you choose to have it. Recommended for asthmatics, those with chronic bad chests and over 65. Personally I never bother, and funny how most doctors I know don’t want the vaccine either. I would rather continue to boost my immunity every year with exposure to the latest ‘flu virus and hope natural antibodies from previous related strains protect me from getting sick with this one. Get exposed every year to every flu and you build up antibodies to most of them. Maybe that is why doctors don’t die from ‘flu: – they die from cirrhosis instead.